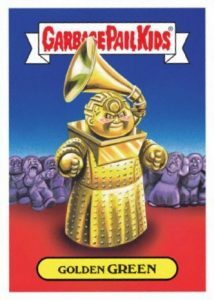 While the Grammy Awards ceremony is the place to find the top musicians of the year, 2017 Topps Garbage Pail Kids Shammys takes collectors down the GPK route to parody stickers for the biggest names in music. 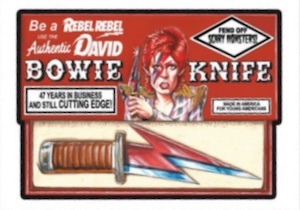 Only issued through Topps Online, collectors have just one week to buy before the set is retired. 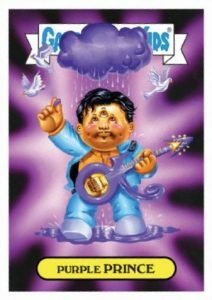 Honoring the winners, losers and even the musicians who left us in the last year, 2017 Topps Garbage Pail Kids Shammys features comical takes on all-time legends like Prince and David Bowie to current megastars such as Adele and Beyonce. 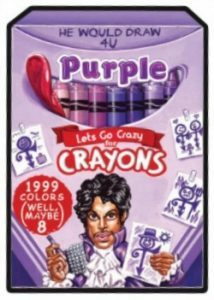 The 19-card sticker set is sold by the subject for $9.99 or as a full set for $49.99. 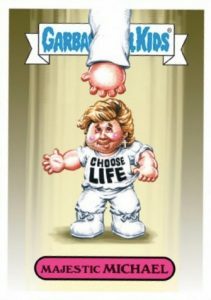 The main GPK portion—cards #1 to #8—includes two cards per subject, with two different card titles on the same image. 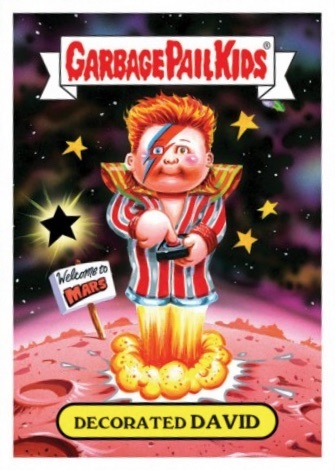 The final three cards feature Wacky Packages designs with only one version. 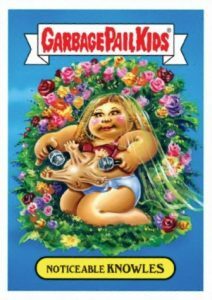 2017 Topps Garbage Pail Kids Shammys is an on-demand set so only the number ordered during the limited sales period will be printed. The sticker cards are sold via the Topps Store until 2/20/2017 at 5PM EST. Orders include free SmartPost shipping. Final print runs will be added when they are provided. This marks the second year for The Shammy's as the set first debuted in 2016. 19 cards. 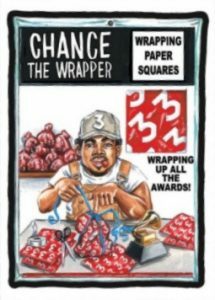 Shop for The Shammys 2017 cards at Topps. 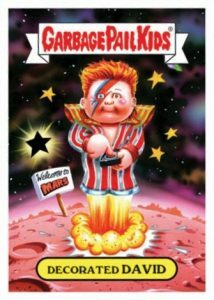 The titles are different but the images are the same for both cards (#1 to #8). Sales end at 5 PM EST on 2/20/2017.